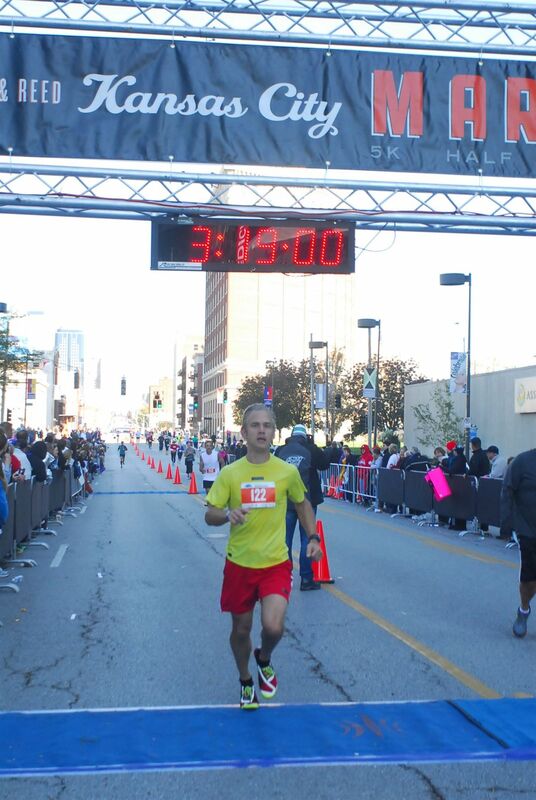 This past weekend’s Kansas City Marathon was my first race in the Skora Phase. I didn’t have the Phase in time for Heart of America in September, or I would have worn it then. It’s lighter, and I prefer the laces. This was my sixth marathon. I’ve run all of them in minimal shoes. This is the first shoe I have run in that did not produce any blisters whatsoever over the marathon distance. I rarely have blistering problems during training runs, but it was not unusual to have a blister or two at this distance and pace. But no blisters is way better. I had worn the Phase on a 16 mile long run, and couldn’t wait to put them on for the marathon. The Phase is so light I’d say it’s nearly in the realm of a racing flat. 7.2 oz. to be exact. It’s similar to the Core, but with a synthetic mesh upper. The sole is injection blown rubber. Zero drop. Also, mine have an awesome color scheme – red, black, yellow, white. My son Cole calls them my “Chiefs” shoes. I might have worn them to a game. A snug heel, asymmetric lacing, and an ample toe box combine for a fit that allows your foot to be itself. You never feel like you are moving around in the shoe in a way you don’t want to. The Phase disappears – my definition of the ideal shoe. I have to admit I wasn’t peaking for this race. Some diet experimentation in August and September, coupled with a week of gluttony at Disney World the week before race week didn’t make for ideal preparation. I did not have a hard time goal for this race because of these factors. In my experience, going into a race without a specific goal you are striving to achieve is a recipe for mediocrity. I always perform better when I am reaching. My plan was to go out with Nelson and try to encourage him to a BQ. 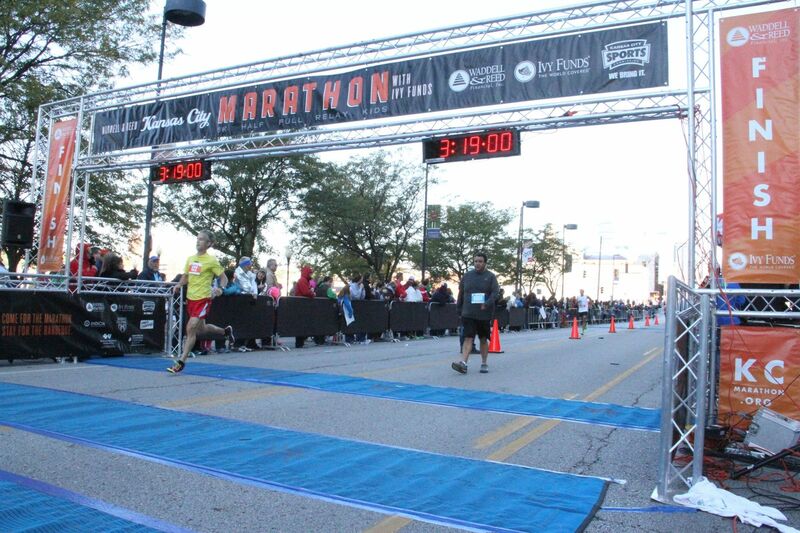 We started with the 3:15 pace group, but he took off and ran his own race from about mile 2 on. I had him in sight for a while, but then settled into the 3:15 pace group. Pace groups can be a double-edged sword. At times, it’s great to tuck in and just follow the herd without having to think too much. However, there are lots of factors that might draw you off from the group. For me, there always seems to be some point where the pacer is pushing too hard to make up a particular time goal on a stretch. That might be just my imagination though! I stuck with the 3:15 pace group through the halfway point and most of the way down Ward Parkway. They picked up a second pacer, and the first one dropped back to try to bring me up with the group. Very cool. I could feel that it just wasn’t my day though, and I cut him loose. After a mile or two, I noticed I had my friend John in sight. It took me a while to catch him – since I didn’t want him to feel like he had to drop back to me I didn’t call out. His family was waiting for him just before the turn onto 75th street. I caught him just as he stopped with them, then he caught back up to me. We ran together for several miles, then he made a “pit stop.” I was amazed that he caught back up to me and then told me he was going to try to go out and catch up to the 3:15 group. Not only did he do that, he passed them, caught and encouraged Nelson, and beat both of us to the finish! Way to go John! I ran a good portion of the race by myself. However, when I got to the top of the hill at the Armour/Paseo turn, I felt a surge of energy. 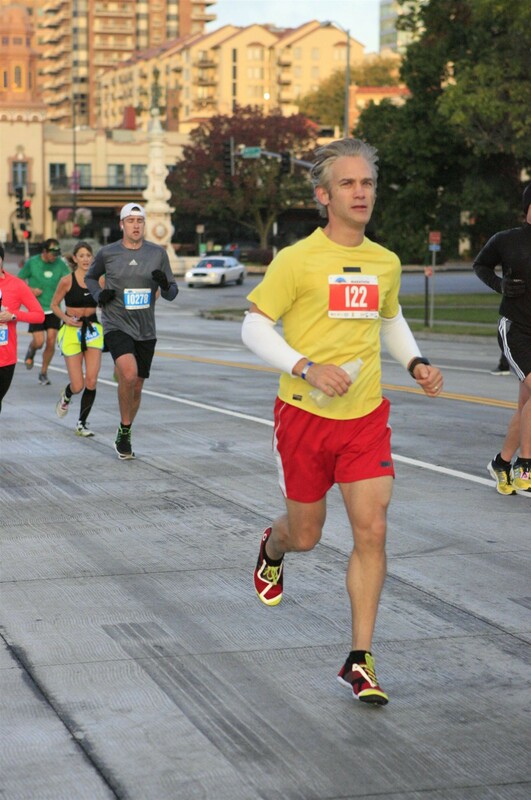 I had slowed in the past few miles, but I didn’t feel like I had hit “the wall” as I have in some past marathons. From mile 23 on, I really picked up the pace. There was a guy that I had been passing back and forth with the whole race, and he was flagging. I tried to pay it forward and encourage him to come with him. We ran together for about two miles, until the final mile. Then I dropped him with a kick since I was feeling so good. The kick made me think I had left some minutes on the table. There were some changes to the course this year, and my favorite was a straightening out of the last 1/3 – 1/2 mile of the race on Grand. It used to make a couple of turns from 18th to the finish. Now it blazes on over to Grand, and you can see your target off in the distance as you head down a nice downhill stretch before the final “bump” (overpass) leading into the flat finish. 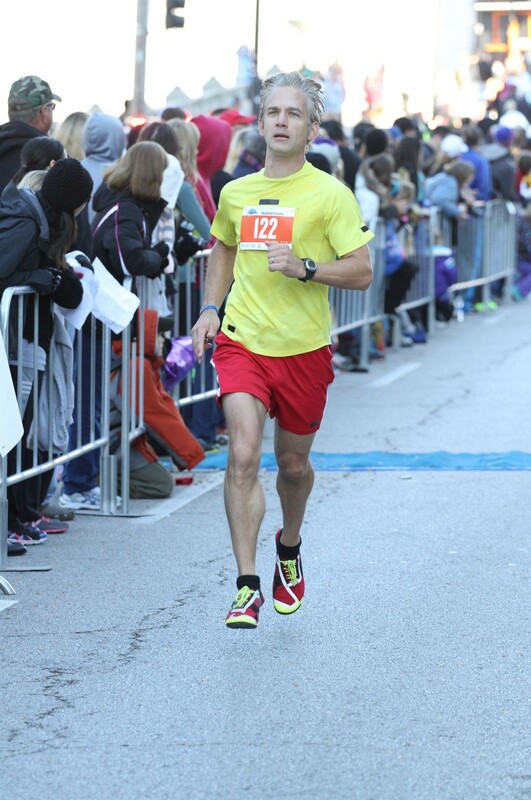 The new course really helped me crank it up a notch in the last mile. I even passed a couple of runners on my way to a respectable but not great time – pretty far off my PR but not my slowest effort either. Nelson held on to his lead on the pace group for a time of 3:14:21. A BQ! Way to go! The Phase will be my go-to racing shoe from now on. It checks all the boxes – great fit, light, zero drop, enough cushioning to cut down on the road noise but not so much to drown it out, and it doesn’t hurt that it looks cool. Never underestimate that psychological boost! One way to make sure you’re tapering enough before your fall marathon is to take a vacation right before it! Yes, I know taper madness properly refers to that stir crazy feeling I’m supposed to be getting by reducing my mileage in the 2-3 weeks leading up to a marathon. Of course I’m not seriously advocating this vacation over-tapering as a strategy for running your best, but there are times when something has got to give. I try to place family before running. 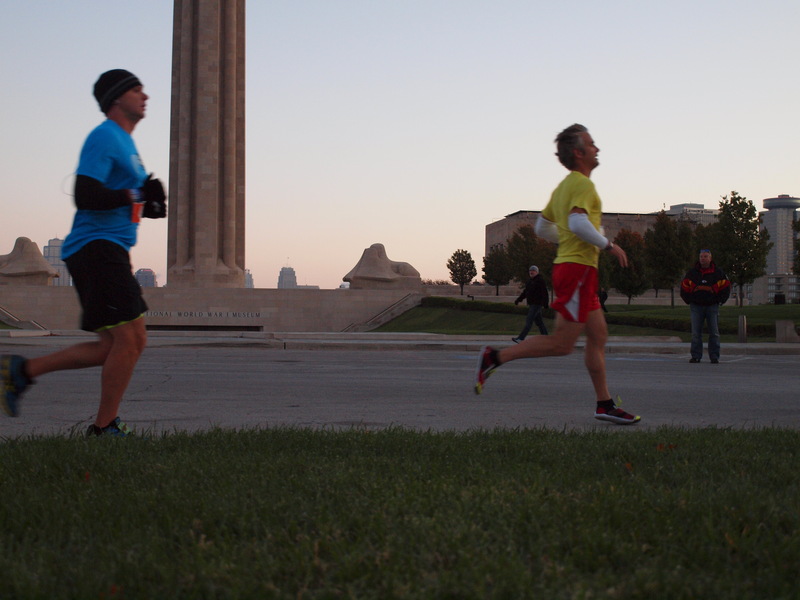 I’m running the Kansas City marathon 10/19. We left for Disney World 10/4 and returned 10/13 (we drove). 10/6 began 6 days of gluttony. Disney has some great food, and I ate my fair share of it. In addition to walking all over the place while at the parks, I did get in 4 runs over that stretch. Not exactly according to my training schedule, but not entirely off the wagon either. So, while I don’t think I am at peak fitness for this race, I feel good about going out with Nelson and the 3:15 pace group. He is going to pull away at the halfway point. I will try to go with him. I don’t think that will be a problem – like most people I am feeling my best at that time. It’s the final 6.2 that will determine the price I will pay for overindulging last week! I am just going to try to enjoy the race and encourage Nelson to a sub 3:15. He’s had some great training runs and he’s healthy – he should crush that time! John, my other running buddy 10 years my junior, is dealing with a foot issue, but is capable of a 3:00 marathon or better. I don’t think I’ll be trying to stick with him this time around, although it would be great to have someone pacing to a sub 3:00 – one of my “doable” goals. Maybe next year! I boosted my confidence a bit with a “dress rehearsal” run tonight – just 6 miles, with 2 at “race pace.” I suppose that is going to be 7:14, but I actually felt really good tonight and I went under 7:00 for both of those miles. I love the cooler weather – cool means speed! I went on a 20 mile trail run in my new Skora Forms this weekend. Until Saturday, this was the only shoe in the Skora lineup I hadn’t tried. I was eager to check it out after I realized it was probably the shoe best suited to the type of trail running I was planning. The trails in my “neck of the woods” include some extremely rocky sections, mixed with dirt single track. According to my personal subjective definition, a light trail is predominantly dirt, maybe some small gravel. 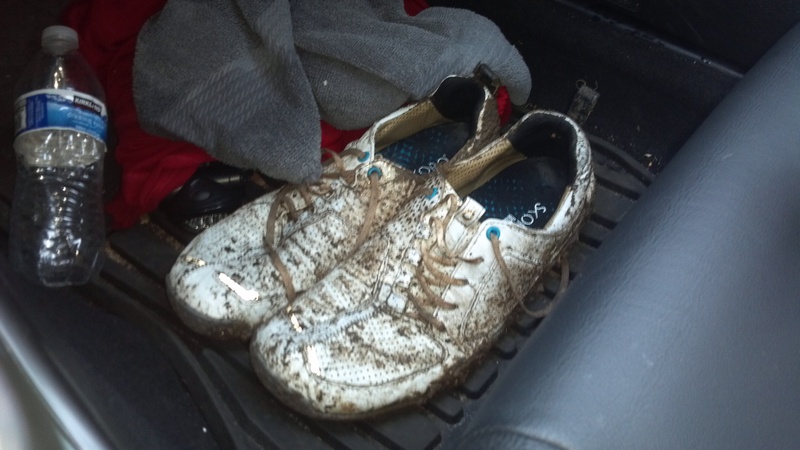 I could run a dirt trail barefoot, but when you mix in some rocks, you need some degree of protection. The Skora Form is the sturdiest, most durable shoe in the minimalist Skora lineup. With a 13mm stack height (zero drop), a rubber/EVA Foam outsole/midsole, and a goat leather/perforated sheepskin upper, the Form can take whatever your trail dishes out. To my way of thinking, the Form has just enough minimal cushioning to handle a rocky trail without being too much. I was able to take it through some really uneven ground without feeling like I was beating my feet up. My 20 mile run at Clinton Lake got off to a great start, in the dark at 6am in a fairly heavy rain – I’d call it just shy of a downpour. Thankfully temps were still in the 60s. Heading into the woods helped calm things down, and while my clothing was pretty wet, my shoes weren’t soaked, although they were wet. I never had the feeling that the Forms increased significantly in weight due to water during the run, which had rain on and off most of the 3 hours I was out there. 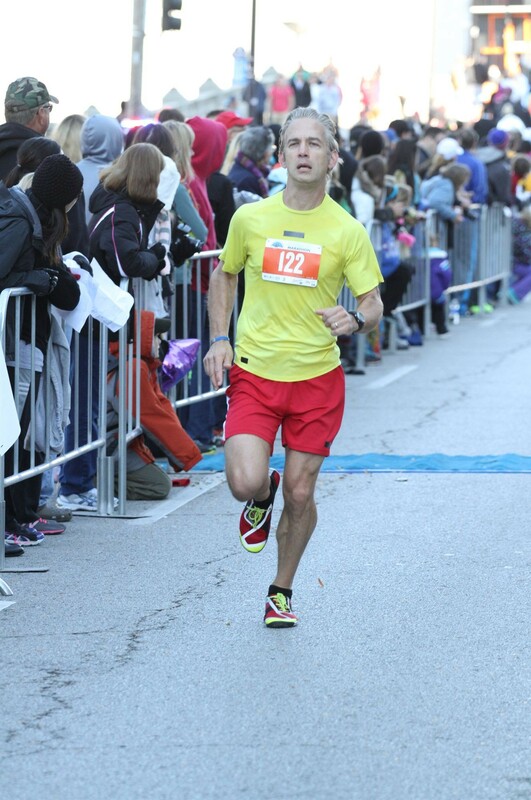 I stopped for a re-tie at the 1 hour mark – I had tied dry, plus it was my first run in the shoe. I didn’t have to mess around with them any more for the final 2 hours – fit was great for the rest of the run. Anticipating the rain, I rubbed in a light application of petroleum jelly on my feet before putting on socks, then the shoes. That, combined with good fit, meant no blisters as a result of this run. I’m very pleased with that, given that my feet were wet the entire run. I’m primarily a forefoot/midfoot striker. I like that the Form has enough structure in the heel that if I want to take a break and heel strike a downhill, I’m not paying a price for it. It’s shaped like your heel – curved, not flat. Something I keep coming back to with Skora’s line of minimalist offerings is that the shoe just gets out of your way and lets you run. The Form was no exception. Other than thinking about the fact that I was evaluating the shoe while running in it for the first time, my attention wasn’t drawn to the shoe. To me, that’s ideal. No slipping, no hot spots. I was simply able to concentrate on negotiating the best path on the trail. I’ve done a slightly shorter trail run in the Core on a different course (Wyco). I felt a bit beat up by that trail. I think Core is excellent on a light trail, but for the hard rocky stuff I’d go with Form. It’s worth mentioning that the Core is probably one of the most comfortable shoes I’ve ever put on my feet. For a light trail, or running in grass (e.g. one of my suburban just-off-the-sidewalk courses) the Core can’t be beat. However, from now on, when I run one of our typical exposed-rock mixed surface trails, I’ll be lacing up my Forms. Can’t wait to hit the trails again in them. Partial objectivity disclosure – I spent my own money on these shoes, but at a Skora Ambassador discount. As I tweeted last Thursday, I called it quits after 6 weeks on a ketogenic diet. Basically, I decided to go back to carbs because I just didn’t feel like tolerating the valleys anymore, along with a near-constant feeling like I was at 80%. Being on carbs means feeling 100% most of the time, with the occasional low spot, easily cured by a quick hit of sugar. Being on fat means 80% most of the time, with an expected evening dip. The only time I didn’t feel at 80% was when I was exercising, or for several hours afterwards, presumably because that’s when my ketone production was cranked up. 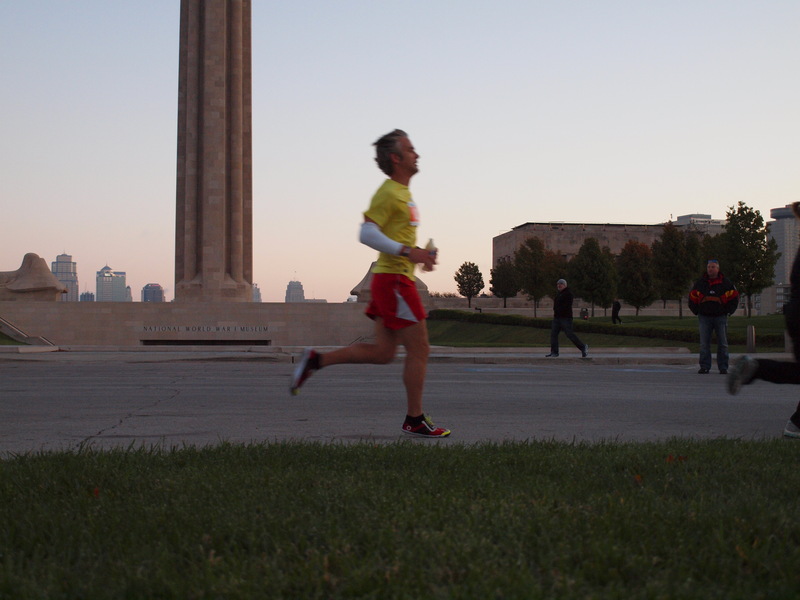 I terminated the experiment just 3 weeks out from the KC Marathon. I would have liked to assess performance there while fully keto-adapted, but I just couldn’t stomach (pun intended) the thought of going to Disney with my family and saying no to all the stuff I am going to want to eat there. Disney has some excellent restaurants, and we have long since had reservations set up for them. Plus, I just wasn’t sure I’d have the energy level necessary to go 18 hours a day there like we usually do. Even with those excuses aside, I really didn’t feel like 3 more weeks of it regardless, even in an easier setting. I’d like to run well at KC. It’s hard to say what the diet has done to the 4 weeks after Heart of America from a training perspective. I don’t know that I have either gained or lost any fitness during that period. There hasn’t been as much speed work as I would like during the last month. It feels like I have been doing a lot of medium intensity, medium length runs. I can comfortably say that I feel like I have enough time to switch back over to carbs before 10/19. I’ll be trying to toss in a lot of fartleks during the taper, which began this week. Yes, there has been some sugar binging in the last few days. (mmm, donuts). I think I’m ready to move on now. I’m going back to semi-Paleo (meaning plus dairy, with one cheat day per week).